I converted my original portrait of this Burchell's Zebra to black and white and then painted it with ink wash and brushes. It went on for a long time until I arrived here. Its not to everyone's taste but I like the finish because its so different from my usual paintings. Please click for uncompressed view. I agree with Dave 100%, Carol. The ink wash is beautiful. 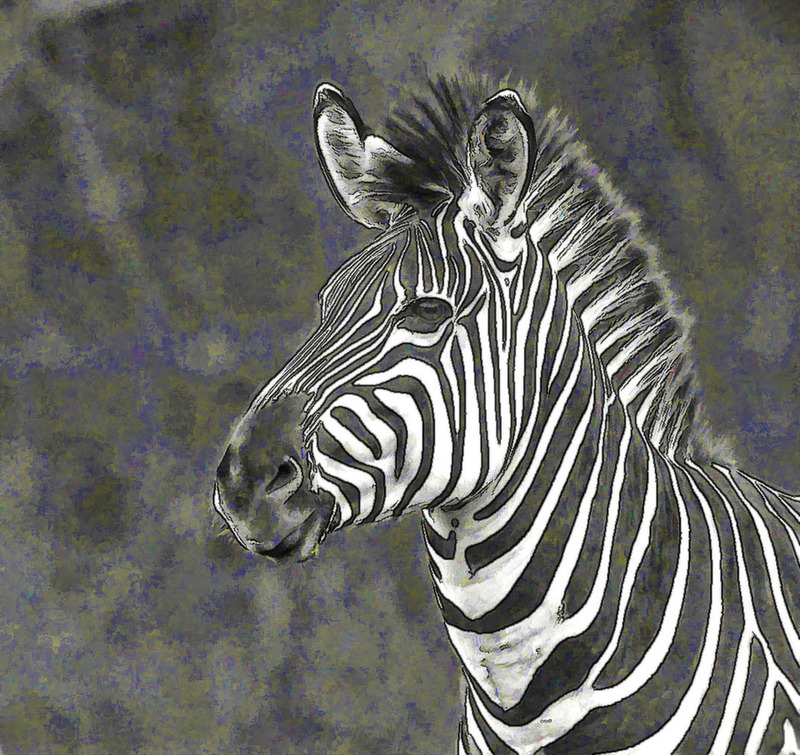 I like this, Carol- nice use of daubs of color to contrast with the B&W zebra and give sparkle to the whole thing. It's a lovely alert zebra that makes a perfect portrait as well. A winner all around! I can almost smell the ink. Takes me back to junior high school when we worked with India Ink. The B&W Zebra is so graphic by itself, the wash just adds to it. A little inner Hendrix I think! Carol, agree with the others, the zebra looks quite stunning, and your added flair and rather psychedelic, polarized-looking background makes a poppin' 3-D "Zebra in your face" presentation - love it!